When President Cyril Ramaphosa delivers his first State of the Nation Address on 7 February, he will face a country weary of corruption and seemingly endless allegations of state capture. Will Ramaphosa’s deeply divided African National Congress (ANC) be able to fulfil the promise of last year when he exhorted us to seek the better angels of our nature in the rallying cry ‘Thuma mina!’? This is also an election year, so this session of Parliament is a short one. Members of parliament (MPs) will start campaigning as early as 29 March. The president will no doubt make the usual promises. 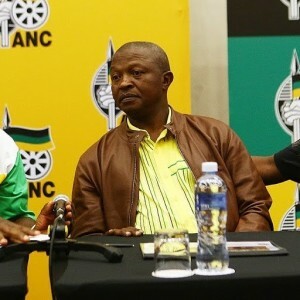 The ANC manifesto covers well-worn territory – claiming it will ensure job creation, better health care and education and deal decisively with crime, among other things. It also promises to end state capture. Ramaphosa’s own position is precarious as he attempts to lead a clean-up of government within a divided ruling party. Yet the president can come to Parliament claiming some gains in this regard. In the past year there’s been a cabinet reshuffle, albeit imperfect, which saw the departure of deeply problematic ministers. These include Lynne Brown, Des van Rooyen, David Mahlobo and Faith Muthambi. The question is whether any prosecutions will happen as a result of what is being revealed. The new prosecutions head, Shamila Batohi, will have her work cut out for her – but hers is a good appointment and Ramaphosa can be pleased with the outcome of that process. The EFF for its part has threatened to disrupt Ramaphosa’s address if he doesn’t provide a full explanation regarding the R500 000 received from Bosasa, via his son Andile, for his campaign to lead the ANC. The controversial facilities management company is currently under scrutiny at the Zondo commission of inquiry into state capture. The EFF’s currency is disruption far more than it is an interest in governance. During the Jacob Zuma years this took hold with their repeated cries of, ‘Pay back the money!’ The EFF will probably find that it resonates somewhat differently in Ramaphosa’s case. The president has been proactive in himself referring the matter to the Public Protector. He will have to show this decisiveness on corruption, especially in dealing with findings from the myriad ongoing commissions of inquiry. There’s nothing slow about any political year in South Africa. Ramaphosa’s address is an opportunity to clarify his vision for the country, especially on the economy and job creation. With a 52% youth unemployment rate and burgeoning inequality, the economic vision must be one of inclusive, sustainable growth. State-owned enterprises are key to a sustainable economy. Given that most are in disarray, Ramaphosa needs to spell out how he will deal with corruption, and get them back on track. Eskom is a crucial cog in the country’s economic wheel. South Africans need to know how Minister of Public Enterprises Pravin Gordhan will deal with the challenges these state-owned enterprises face.